Fawzi Barhoum, a Hamas spokesman, has accused the Israeli occupation authorities (IOA) and the Palestinian Authority (PA) of working together to liquidate resistance in the West Bank. Barhoum said in a statement on his Facebook page on Wednesday that the recent escalation in arrest campaigns by both the IOA and the PA was meant to distract the attention away from the resumption of negotiations between both. He urged all parties to expose those involved in the talks, which would ultimately lead to liquidating the Palestine question. The spokesman urged the people in the West Bank to refuse those arrests by either the IOA or the PA and to protect the liberated prisoners and resistance leaders. 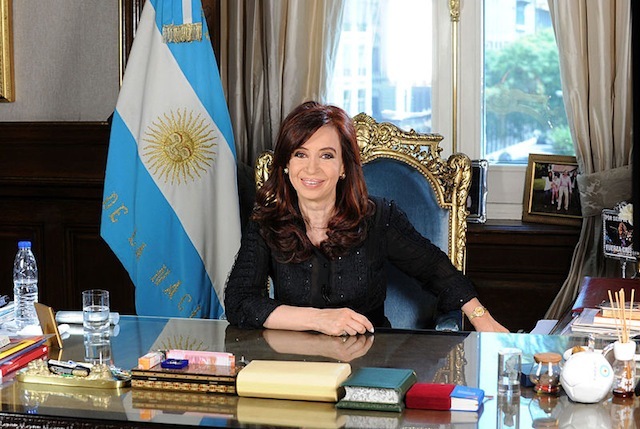 Argentine President Cristina Fernandez, who is presiding over the UN Security Council this month, criticized on Tuesday [August 6] the veto power of the permanent Security Council members and how this power has been used to prevent the adoption of resolutions related to Palestine and Israel’s occupation. Only the five permanent members of the United Nations Security Council – China, Russia, the United States, France, and the United Kingdom – wield the veto power that allows them to prevent the adoption of Security Council resolutions. Fernandez described the veto power as a safeguard during the Cold War era, but was quoted as saying “we can't deal with the problems in this new world with old instruments and old methods." According to the Global Policy Forum, the United States has been the most frequent user of the veto since 1972, with most vetoes preventing the adoption of resolutions related to Israel and Palestine. From 2001-2012, the United States used its veto power 11 times, and did so most recently in 2011 when it vetoed a Security Council resolution that condemned Israel’s illegal settlement activity and called on Israel to immediately stop settlement expansion. The United Nations News Centre reported that that resolution had been supported by the other fourteen members of the Security Council, and that it has also been cosponsored by more than 120 of the United Nations’ member states. 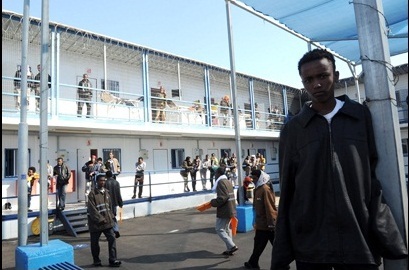 The Interior Ministry's Population and Immigration Authority said the 177 Eritrean and Sudanese asylum seekers who left Israel in July voluntarily returned to their home countries as part of a procedure approved by Attorney General Yehuda Weinstein, but the UN High Commission on Refugees (UNHCR) and Israeli human rights groups claim the "voluntary departure" procedure cannot be applied to asylum seekers who are held in detention facilities. Some of the African migrants who left in July were held in the Saharonim detention facility, while others lived in different Israeli cities. The Population Authority said some of those who left Israel did so on their own volition, but it did not say how many of the 177 left the country willingly. According to data presented by the Interior Ministry, only one African infiltrated Israel in July, compared with 268 who infiltrated Israel during the same month last year. The Population Authority attributed the sharp decrease in infiltrations to measures taken by the government, including the enforcement of the infiltration prevention law and the erection of a security fence along the border with Egypt. 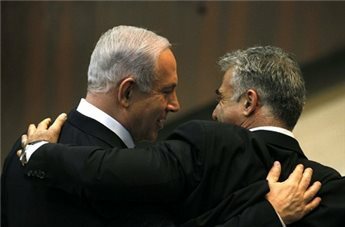 UNHCR and Israeli rights groups have criticized the government's actions, claiming some of them – including a law that allows the State to detain asylum seekers without trial for an unlimited period of time – violate international law and the United Nations Convention relating to the Status of Refugees. According to the Population Authority, some 55,000 asylum seekers still reside in Israel. About 50,000 of them are Sudanese or Eritrean nationals. On Monday AG Weinstein toured south Tel Aviv, where many of the migrants live, and said the government's policy is to fight the infiltration phenomenon. "Our small country has a hard time harboring this many infiltrators. I think the government's policy is bearing fruit," he said. Interior Minister Gideon Sa'ar said Israel was gradually progressing in the implementation of the policy to return illegal migrants to their home countries or to send them to other countries. "With each month that passes there are fewer and fewer illegal infiltrators in Israel," he said. Last week, representatives of the Eritrean community in Israel held a press conference in which they warned that their return to the African country would put their lives in danger. They accused Israel of crossing a "red line" after the so-called "voluntary deportation" of 14 Eritreans some three weeks ago. They were sent back to their homelands from the Saharonim detention facility, where they were detained. During the press conference, held in south Tel Aviv’s Shapira neighborhood, community spokespersons decried the procedure. Davit Damuz said the Israeli government was endangering the lives of those expelled to Eritrea. "They were expelled from prison in Israel, where they were detained without a release date and without knowing what would happen to them," said Damuz. "In Israel they decided to call it 'voluntary return' – but that's not true. When there's no other possibility, there's no such thing as voluntary and there's no such thing as choice. "The Israeli government exploited their situation, and now their lives are in danger. We call on the Israeli government to put an immediate stop to the return of the refugees to Eritrea. This return is extradition of the refugees to the dictatorship in Eritrea. This return endangers their lives," he said. 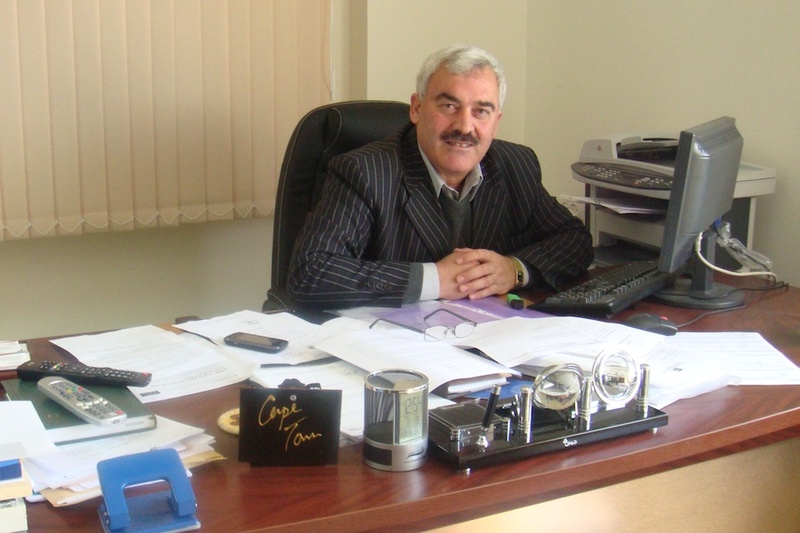 Attorney Nimrod Avigal of the Hotline for Migrant Workers said: "Under the cynical title 'voluntary returnm,' hundreds of asylum seekers are being expelled in violation of international law and the UN's position. The 'voluntary departure' forms are signed by broken people who have lost hope after being held in a prison for over a year under constant pressure." According to the hotline, one of the detained migrants reported that "everyday representatives of the Interior Ministry show up and tell us 'your refugee requests will not be processed and Israel will never accept you, so you should sign and go back.'" On the other hand, Shlomo Maslawi, chairman of the south Tel Aviv neighborhoods' action committee, said "We mustn't forget that they are infiltrators. Most of them are seeking work and have arrived in Israel illegally after staying in another country, Egypt. The government boasts that dozens (of asylum seekers) have departed, but we are drowning in a sea of tens of thousands." According to the Administration of Border Crossings, Population and Immigration, "The process of 'voluntary departure' is supervised and carried out in accordance with a procedure that was authorized by the attorney general." +972 speaks with Shawan Jabarin, general director of Palestinian human rights NGO Al-Haq, about how and why the organization decided to start using the term Apartheid, and what role accountability and international intervention could play in guaranteeing human rights. Sitting on a green leather couch in his Ramallah office not far from Al-Manara Square, Shawan Jabarin talks about his hopes and beliefs – primarily, a belief that oppressive regimes have no future. Jabarin, 52, began volunteering with Al-Haq while studying sociology at Birzeit University. He later went on to study law in Ireland. Jabarin joined the organization in 1987 as a field researcher and became its director in 2006. Are human rights in the Occupied Palestinian Territories more or less protected today compared to when you started with Al-Haq in 1987? I think the indicators show a worsening human rights situation. It doesn’t mean the situation in 1987 was good, but it’s deteriorated since then. There is more land confiscation; freedom of movement is more restricted. There is more destruction of property, like house demolitions. More than ever, the people have lost hope of living in peace with the Israelis. The economic situation has deteriorated. Everything deteriorated. Before, we used to close the roads, not the Israelis. We used to go to Gaza freely. Before we used to look at the Israeli settlements as isolated areas. Today, they’re everywhere. What human rights issue facing Palestinians concerns you most right now and why? The most important thing is land because it includes natural resources and [relates to] Palestinians fighting for their self-determination and independence. Palestinians look at their freedom without land, and it means nothing. Palestinians look at their economic development; without natural resources and land, it means nothing. I also connect the land issue with settlements. Every aspect of the settlements affects Palestinians’ lives, economically, psychologically, socially, physically and administratively. It’s not just houses here and there. 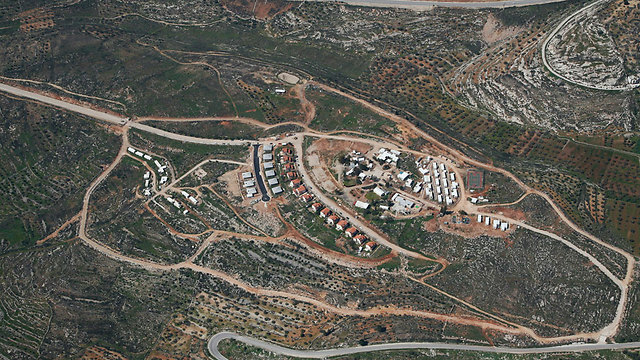 Settlements need bypass roads, water, land and troops to protect them. Land is the main issue. Is using the term Apartheid to describe the occupation a constructive tool in fighting for human rights, and is the analogy applicable to the occupation? It took us a long time before we started using this term. We studied it carefully, professionally, academically, and then we concluded that, yeah, based on the nature of this occupation and parts of its practices, we could say it meets the criteria of an Apartheid system. Because of that we started to use the term in the last three of four years. It wasn’t easy for us and we don’t use it politically. We use it legally. It’s a constructive tool for two reasons. One, on the level of people’s conscience, the Apartheid term is negative and leaves a bad impression. Another thing is that the international community has been obliged to help end Apartheid. There is a convention. There are many different international resolutions from the U.N. regarding Apartheid. So there is a legal obligation to act against and pressure the Apartheid system and to sanction it. But in the end, without political will, nothing will move forward. The international community deals with and treats Israel differently. But that will not continue forever. Do you think Boycott, Divestment and Sanctions (BDS) can be effective in ending the occupation? Legally, professionally and formally, I do believe this, but at Al-Haq, we don’t use the term “boycott.” Not because we don’t believe in it, but because there is no legal basis or obligation for it. Our points of reference are human rights, international humanitarian law and public law. There is a legal basis for “sanctions” and “divestment” under international law, but there is no legal basis for boycott. With a boycott, the public is responsible. What strategies have been most effective in fighting to protect human rights? Without going after the criminals, without pushing them to pay the price for their crimes, there is no way things will change. This is the main strategy — accountability. We understand it in a bigger picture, not just against a person. Part of it is against businesses. So accountability is one of the main components of our work. We look at it as a preventive strategy; it’s not a goal in and of itself. If Israel paid a political, economic or personal price, I think this is the way you can help things move forward. How specifically do you hold individuals or Israel accountable? By addressing the U.N. reports, interventions, campaigns by third party states and using judiciary mechanisms and domestic law. 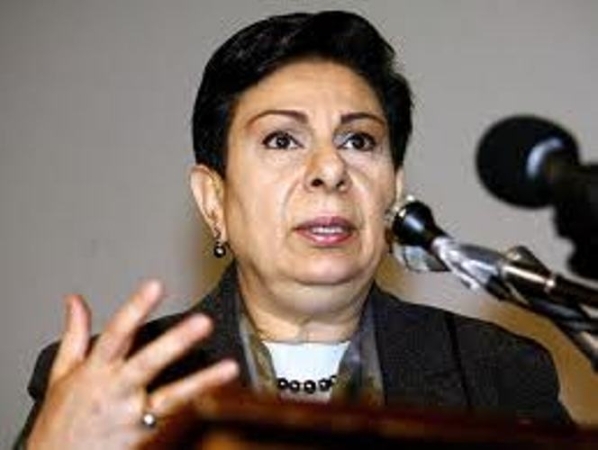 We are also pushing the Palestinian Authority (PA) to join the International Criminal Court (ICC). Did Al-Haq ever utilize the Israeli legal system in fighting for human rights? We did in the beginning, but we reached the conclusion in the late 1980s that this system doesn’t work when it comes to the Palestinians. It’s not effective and there’s no hope in using it, except – and we keep the door open – for selective cases and to exhaust the local remedy, as a step before we go outside. And here we cooperate with other organizations, but at Al-Haq we try not to use the system because it doesn’t work for us. As the leader of a Palestinian NGO, do you encounter criticism for speaking out against human rights abuses committed by the Palestinian Authority and Hamas? Yes, we receive criticism, even publicly, because we criticize publicly. We try to share information and our position with the public. Most of the time we try to offer our help, to integrate human rights standards and principles in the Palestinian draft laws. And now they send us every draft law so we can add our comments. It’s also important, for instance, when we make unannounced visits to interrogation centers. That’s not happening in the rest of the world, in any country. A surprise visit. Just to knock on the door of the interrogation center to speak with the officer. “I’m from Al-Haq. I’m coming to visit, and to see X, Y, Z and to see the situation inside.” And they open the doors for us. This is what happens these days. Only for Al-Haq. We still refuse planned or organized visits. What is the greatest challenge Al-Haq faces in promoting its mission? The main challenge is how to push states to respect their legal and human rights obligations – even the Palestinian Authority, to act according to its obligation to human rights, to push Israel to act according to its obligation as an occupying power. You can’t have peace without justice. You can’t make peace without international law as its basis, and you can’t have it without human rights. We face a challenge of changing how politicians look at human rights and how they look at peace. For them it’s not just a process. They are ready to compromise and undermine human rights. The first things that they sacrifice are human rights. Even on the Palestinian side, even the Palestinian Authority. Is there room within the international human rights regime for some sort of international intervention in Israel/Palestine, legal or otherwise? There is a lot of room for intervention. For instance, the Fourth Geneva Conventions. It obliges states to act and stop grave violations of human rights, but they don’t act according to their obligations. For political reasons, they don’t want to do it. If Israel were Iran, I’m sure they would intervene. They would from day one. If Israel was in the place of Libya, Egypt or somewhere else, they would say, “This is human rights. This is our obligation.” But international law doesn’t work without political will, which is essential for the implementation and protection of human rights. What type of intervention is there room for? Using nonviolent tools. Some of the Israelis called it “lawfare.” If you don’t want us to use the law, what do you want us to use? Guns? Please, could you tell me? What has been your most humbling experience working in the human rights field? It was a case [during Operation Cast Lead] in Gaza in 2009, when the Israelis attacked and invaded. A man in his twenties, a civilian, was in his house, surrounded by soldiers shooting at him and he was injured. We tried to help. He talked to his brother in the U.S. His brother in the U.S. talked to us here but we couldn’t do anything. We contacted the ICRC, the Red Crescent and Physicians for Human Rights, just to evacuate him and to take him to the hospital. The ambulance was nearby, but the soldiers blocked the road, and didn’t allow it to reach the man. He bled to death. It took maybe five or six hours. You just feel that you could have all the organizations, and still you can’t do anything to help this person. What do you hope Al-Haq will accomplish next? One of our short-term goals is to exchange our experience and to learn from others, mainly on the regional and local levels. We share our experience with Arab human rights activists. We train them on different issues, human rights, humanitarian law and documentation. In the long-term, I hope to remove from our agenda some of the main, horrible violations – the killing, house demolitions and displacement – and to start thinking about how to improve people’s lives. In a serious escalation of the Israeli attempts to divide the Arab community in the country, and amidst massive objections, Israeli Prime Minister, Benjamin Netanyahu, ordered the formation of a special committee to recruit Arab Palestinian Christians in the country to the Israeli military. Netanyahu and a number of Christian “leaders” will be forming this committee in the coming two weeks; its main aim is to enlist Christians in the occupation army. Israeli daily, Haaretz, has reported that the decision was made by Netanyahu following a meeting he held, on Monday morning [August 5, 2013] with Father Jubrael Naddaf, known for his stances encouraging enlistment in the Israeli military despite massive objections from the Arab Palestinian Christian community. Naji Obeid, head of the Orthodox Council in Nazareth-Jaffa, and Lieutenant-reserve, Shadi Halloul, attended the meeting. Haaretz said that the committee will be acting on recruiting Christians in the country, and will be acting on “protecting Christian recruits”, in addition to acting on the legal level to prosecute objectors, dubbed as “persons who incite violence and chaos”. According to Haaretz, Netanyahu stated that “Christians in the country must be allowed to join the Israeli army and defend the state”. Netanyahu added that he “salutes” those recruits, and that Israel “will not allow any person of group to threaten or harm them”. Meanwhile, Arab Legislator in Israel, Bassel Ghattas, sent a letter to Patriarch Theophilos III of Jerusalem, regarding acts by certain priests, especially Father Naddaf, who supports enlistment in the Israeli army and is encouraging Christian youths to join the Israeli occupation army. 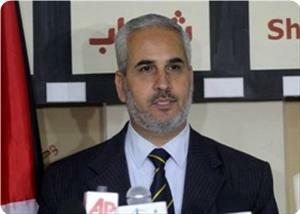 Ghattas denounced the actions of Naddaf, and stated that those stances violate his moral and religious responsibility, adding that Naddaf is using his priesthood as the head of a well-respected Christian Palestinian community, to encourage the youths to enlist in the army that occupies and oppresses their own people. “Naddaf is trying to strip those youths from their national identity”, Ghattas said, “He is trying to divide the Christian committee, and trying to strip the Christians from their identity and nationality”. Ghattas added that the Arab Orthodox Christian committee in the country is a community of real patriots, leaders and freedom fighters, including Father Yacoub Al-Hanna in Al-Rama in the Galilee, George Habash, the founder of the Popular Front for the Liberation of Palestine (PFLP), Nayef Hawatma, secretary-general of the Democratic Front for the Liberation of Palestine (DFLP) and many leaders and figures. Ghattas added that Father Naddaf must be excommunicated and removed from his post, and that Naddaf must apologize to the Christian community. The State informed the High Court that it is willing to hold a hearing regarding petitions against the decision to approve the export of 40% of natural gas reserves of Israel, as if an order was issued currently preventing implementation of the decision. The meaning of the State’s message is that the exportation of gas will be delayed until the court makes a decision on the subject. In response to the petitions, it was stated that due to urgency in need of a decision, the State seeks a debate as quickly as possible. 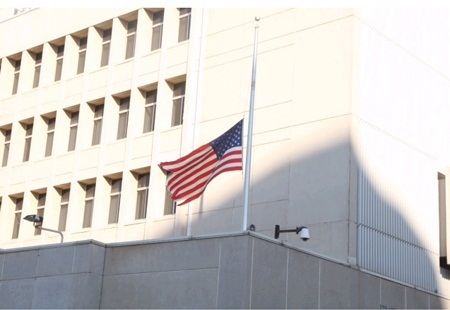 WASHINGTON - The US embassy in Tel Aviv and missions in Jerusalem and Haifa will resume normal activity on Monday, the State Department said on Monday. However, US diplomatic posts in 19 cities in the Muslim world will be closed at least through the end of this week due to an "abundance of caution." State Department spokeswoman Jen Psaki said the decision to keep the embassies and consulates closed is "not an indication of a new threat." She said the continued closures are "merely an indication of our commitment to exercise caution and take appropriate steps to protect our employees, including local employees, and visitors to our facilities." Diplomatic facilities will remain closed in Egypt, Jordan, Libya, Yemen, Saudi Arabia and Kuwait, among other countries, through Saturday, Aug. 10. The State Department announcement Sunday added closures of four African sites, in Madagascar, Burundi, Rwanda and Mauritius. The US has also decided to reopen some posts on Monday, including those in Kabul and Baghdad. The Obama administration announced Friday that the posts would be closed over the weekend and the State Department announced a global travel alert, warning that al-Qaeda or its allies might target either US government or private American interests. The weekend closure of nearly two dozen US diplomatic posts resulted from the gravest terrorist threat seen in years, the top Republican on the Senate Intelligence Committee said Sunday. Sen. Saxby Chambliss said "the chatter" intercepted by US intelligence agencies led the Obama administration to shutter the embassies and consulates and issue a global travel warning to Americans. "Chatter means conversation among terrorists about the planning that's going on-- very reminiscent of what we saw pre-9/11," Chambliss told NBC's "Meet the Press." "This is the most serious threat that I've seen in the last several years," he said. Rep. C.A. Dutch Ruppersberger, the top Democrat on the House of Representatives Intelligence Committee, told ABC's "This Week" that the threat intercepted from "high-level people in al-Qaeda in the Arabian Peninsula" was about a "major attack." Yemen is home to al-Qaeda's most dangerous affiliate, blamed for several notable terrorist plots on the United States. They include the foiled Christmas Day 2009 effort to bomb an airliner over Detroit and the explosives-laden parcels intercepted the following year aboard cargo flights. Rep. Peter King, who leads the House Homeland Security subcommittee on counterterrorism and intelligence, said the threat included dates but not locations of possible attacks. "The threat was specific as to how enormous it was going to be and also that certain dates were given," King said on ABC. In addition, Interpol, the French-based international policy agency, has issued a global security alert in connection with suspected al-Qaeda involvement in several recent prison escapes including those in Iraq, Libya and Pakistan. The statement said al-Qaeda or its allies might target either US government or private American interests. 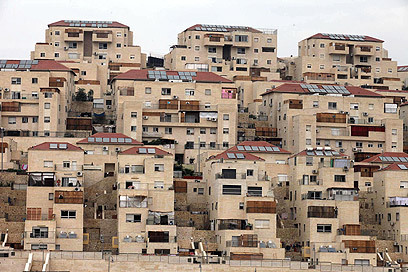 "We were here before this government was established and we will remain here after it's gone": The residents of Beitar Illit were not shocked by the removal of the large haredi settlement from the new list of more than 600 towns and communities that are eligible for State benefits. At a time when the haredi public is feeling the pain of the new government's austerity measures and its Knesset members are sitting in the opposition, the ultra-Orthodox are just waiting for the next blow to come. 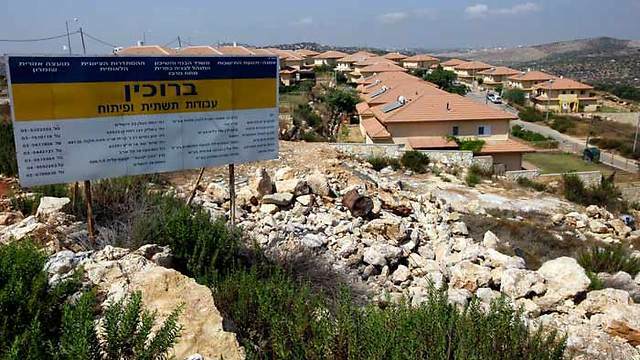 This time the blow came in the form of the Beitat Illit's ineligibility for benefits the residents of the Gush Etzion community had grown accustomed to receiving. Other Jewish communities in the West Bank - some of them remote - were added to the national priority list. "This government is simply cruel," said Yaakov Hershkop, a contractor and real state entrepreneur who resides in Beitar Illit. "There are no other words to describe what is happening here. Our public is being 'attacked' on a daily basis, and they are taking away the milk and bread we have left." Hershkop called Beitar Illit "the classical haredi city in which the next generation of the haredi public is being raised. The government's first message - after it had already imposed severe measures in last year's budget – is that it is taking away the little that is left. It is going to hurt those who suffered the most painful economic blows and deny them the last rights they still have. "We will have to take matters into our own hands and seek the support of the Diaspora Jews, who will stand by us," he said. "As someone who grew up in the United States, I have no choice but embark - together with the community leaders – on a fund-raising trip abroad. Maybe our salvation will come from there." Yitzhak Ravitz, chairman of Degel HaTorah's Beitar Illit chapter, pointed a finger at Economy Minister Naftali Bennett, claiming that the inclusion of numerous settlements in the new national priority map indicates that Habayit Hayehudi, Bennett's party, was behind the initiative. "Bennett is pushing us, the haredim, into the arms of the Left. He shouldn't be surprised if we will not be there when he needs us for the fight against the uprooting of settlements," Ravitz told Ynet. "The government has made every possible mistake since its inception six months ago – at first against the Torah of Israel and now also against the Land of Israel. 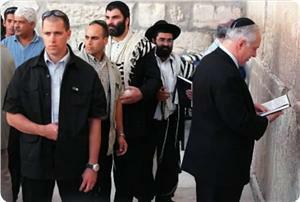 They have pushed the haredi public into a corner with another vengeful act. In this situation, even the most gentle and peaceful animal goes wild when its back is against the wall." Ravitz, the son of the late lawmaker and deputy minister Avraham Ravitz, who was one of the leaders of United Torah Judaism, said Beitar Illit was the second largest city on the eastern side of the Green Line (after Ma'aleh Adumim) and has the highest population growth rate in the West Bank. "For every apartment here there are a hundred people who want to buy it, and suffocating this city is a foolish act. It is a stupid and irresponsible decision as far as the settlement enterprise is concerned. It is also malicious." 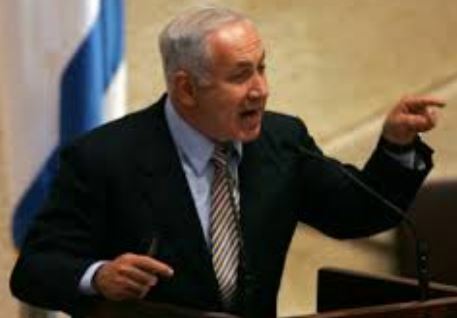 The mayor of Beitar Illit, Rabbi Meir Rubinstein, said "all of Israel's past government's, including the leftist ones, did not dare take measures similar to those being taken by (Prime Minister Benjamin) Netanyahu's government." Ultra-Orthodox politicians were also quick to level harsh criticism at Netanyahu, Bennett and Finance Minister Yair Lapid. "This decision joins a long list of miserable decisions made by the malicious Netanyahu-Bennett-Lapid government," said MK Meir Porush (United Torah Judaism). Shas Chairman Aryeh Deri said, "The Israeli government has once again proven its insensitivity with the immoral decision to remove the cities of Beitar Illit and Harish from the national priority map and including dozens of isolated settlements. The brothers Bennett and Lapid will not rest until they will deprive the haredi citizens of the State of Israel and the residents of the large (settlement) blocs of all funding." The southern cities of Kiryat Gat and Kiryat Malachi were also left out of the new national priority map. "It's all politics," said Kiryat Malachi Mayor Yossi Hadad, a longtime Likud party member. "When rockets fall we are part of the south, but when it's time to give a little, distribute goodies, they prefer to say we are residents of central Israel. The government has forgotten one thing: Some 25% of the city's residents are new olim. Our situation is very bad; we do not have the right lobby." Avichai Osadon, an activist from Kiryat Gat said, "The fact that we are not receiving any assistance is indicative of the State's faulty list of priorities. The State prefers the frontline communities, which are actually the settlements. The State prefers settlements over the periphery." 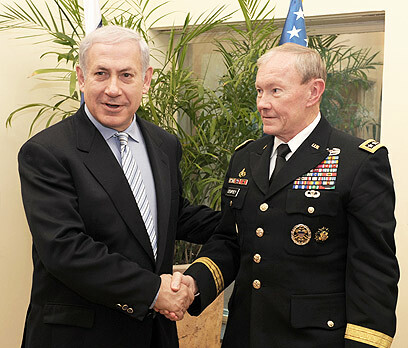 General Martin Dempsey, chairman of the joint chiefs of staff, will arrive in Israel on Sunday as the guest of IDF Chief of Staff Benny Gantz , Yedioth Ahronoth reported. He will meet with Prime Minister Benjamin Netanyahu and Defense Minister Moshe Ya'alon. The parties will discuss the tightening of military cooperation in respect to the Syrian civil war including the issue of US reports attributing strikes in Syria to Israel's Air Force. Dempsey will also address the issue of a possible Israeli strike in Iran in wake of recent statements on the subject made by Netanyahu in an interview with CBS. "Iran is inching "closer and closer to the bomb," Netanyahu said. "I won't wait until it's too late." "We'll have to address this question of how to stop Iran, perhaps before the United States does," Netanyahu said referring to the difference in urgency for Washington and Jerusalem. Addressing the cabinet last month, the prime minister said that "A month has passed since elections were held in Iran, and Iran continues to race toward the development of military nuclear capability." Iran's Foreign Ministry called Israel a war monger in response. Washington is worried about a possible Israel strike on Iran's nuclear facilities and tensions between the two nations are starting to build up. Discussing the rationale behind releasing Palestinian prisoners as part of renewed negotiations with the Palestinians last week, Ya'alon alluded to the broader regional context. "There were many strategic considerations which might be revealed in the future," he said. Dempsey made a previous trip to Israel last year amid calls to strike Iran. The Americans believe that decision makers in Israel are feeling over-confident after reported successful strikes in Syria. It is also believed that Israeli officials are convinced that Iran's retaliation capabilities have diminished in light of Syria and Hezbollah weakened positions in the civil war. Emaciated drug addicts with a blank looks and arm extended forward are the permanent landscape of the area surrounding south Tel Aviv's Central Bus Station, the same area where a woman's dismembered body was found over the weekend. They are always there, in daylight and dead of night. They cannot be missed or avoided. They walk slowly back and forth on the sidewalk and sometimes step into the road to try and get a few coins from random vehicles unluckily stopping at a nearby traffic light. Their drug trafficking stations are more or less visible for all in dark alleys and stairwells, but do not face shut down by the authorities; it is doubtful if anyone can shut them down. That is the reality of the backyard of Tel Aviv's backyard. 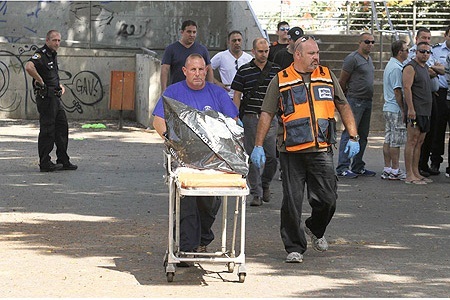 The suitcase with a dismembered body was found in the same area in south Tel Aviv. Hours later, a blood-stained piece of cloth and a pile of police tape were still at the scene. It was the only remnant of the criminal event; the rest is routine and life on track. "Well, for several years now it's been the wild west around here," said Shlomo, a resident of the area. He volunteered to guide a short tour of the "interesting" corners of the area, as he defined it. While pointing at a junkies-concentrated area he said: "From there they go to (the drugs) stations, or to (the city of) Lod, or to their pimps, who knows." He stalled at a small street alcove and watched the drugs station. "There are two more: one under the bridge and another on Levinsky Street." And the police, what do they do? "The police are actually around quite often." Meaning they shut down the drug stations? "Oh, of course not. They just patrol the area." The murder investigation is focused on the immediate need to identify the victim. The detectives are on site, security footage is being checked and investigators have also turned to cab drivers, in search of an unknown passenger who came to the area with a suitcase. "It's hard to believe whoever brought the suitcase here was not seen by anyone or by a camera," police said. A nearby supermarket opened Saturday night around 8 pm. One of the workers was arranging the popsicles fridge, and responded quite indifferently to the events: "So they found a dismembered body in a suitcase. Dude, people eat each other around here." Do you see a lot of violence here? "It's not really visible violence. Maybe sometimes some Sudanese men fight at night. But what's happening with the drug dealers and the prostitutes is a whole other thing. It's really dangerous." Business owners and drug-addicts are almost the only white people in an area that populates tens of thousands of asylum seekers and immigrants from Eritrea and Sudan. A few steps from where the bloody suitcase was found, there is a café owned by several Eritreans. However Titi, the café shift manager who worked in the hours after the suitcase was found, did not hear of the event at all. "We have no relation to the junkies around here," she said in English. "They pass by the entrance to the pub but never enter or disturb us or the customers. We're not looking for trouble." A very similar approach is shared by Musia, an Eritrean citizen who runs an internet café nearby, and shares a wall with a big drugs station. "Oh, the junkies," he said in Hebrew, "They don't bother us. Occasionally someone walks in to ask for money but we refuse and they leave. We never had problems with them. It's just not a pleasant sight to see." The Jewish business owners, however, are much less understanding, and have been trying to join forces and pressure the police and the municipality for years. Their actions resulted in a new police station in the area and the reinforcement of forces; however reality is virtually unchanged. "The police and Border Guard are here for 15 minutes a day, say hello to the junkies and disappear," said a business owner in the central bus station. "I don't understand how they allow this to continue. This is a central place, kids go to school, people run errands, people walk from here to the train. How do they let it carry on? We are not afraid of the junkies, because they're not in a physical state to cause damage, but of their dealers. It's the crime world. They're serious criminals." The Tel Aviv Municipality has been trying to handle the situation for years while calling for government aid. Tel Aviv's Deputy City Manager Ruby Zelof met with the residents and business owners union, the street lighting was enhanced and parts of the neighborhood were reinforced with surveillance cameras. But a municipality source admitted that "it is a bandage for a cancer patient. The problems in this area are far greater than the municipality's capabilities. We have no real way of dealing with them. Is there any chance for the situation to change for the better soon? Unfortunately, no." A vehiclel belonging to a member of the Habayit Hayehudi party was set afire on Saturday night while parked near his home in Givat Olga, Hadera. Chairman of the party in Hadera, who is competing in the upcoming election for City Council attorney Eliyahu Bouskilla said, "This crosses a red line. The police must act quickly so that the campaign will have no casualties." 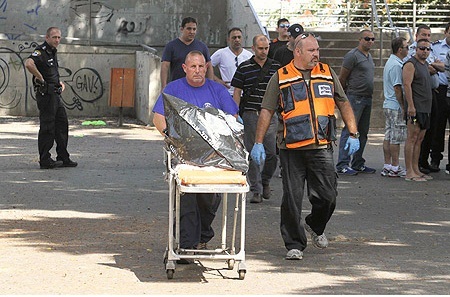 The dismembered body of a woman in her 30s was found in a suitcase in southern Tel Aviv on Saturday. The body was decapitated. Massive police forces arrived at the scene and have begun combing the area. One of the detectives told Ynet that: "This is a horrific event. The body was found in horrible condition and it is obvious that only a psychopath could perpetrate something like this." 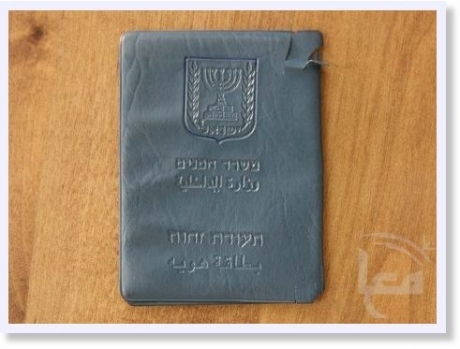 An initial investigation revealed that a man traveling along southern Tel Aviv's Ha'Haganah Bridge spotted the suitcase, "I was traveling with my bike and the suitcase obstructed my path. So I tried to move it," Igor, the man, said. However, the case's unusal weight made him suspicious, prompting him to open it and find the dismembered body inside. Police Chief Superintended Yossi Shperling said that "around 12:25 pm we received a call about a suspicious suitcase. District forces and sappers were alerted to the scene, and were surprised to find a body. We are only just beginning our investigation." The police hope that the fact that the body was found inside a suitcase will aid them in finding the killer. A police source further noted that it is unclear how a man could carry the body-filled suitcase along the crowded street and leave it there without causing suspicion. The body was found in a stairwell on the bridge which leads to a train station below street level. The area and bridge are a central crossing and they are frequented by large number of local residents and foreign workers. One of the police's theories is that the killer dropped the case at the scene after noticing people walking by. Shai, a paramedic who was alerted to the scene said: "After the woman was found lifeless we were called to the scene and saw body with serious signs of violence on it. We had nothing to do but declare her dead." The withdrawal of a second nominee in a week for the Bank of Israel's top job filled newspapers with speculation on Saturday over the cause, ranging from astrology to sexual harassment. Leo Leiderman, an academic and adviser within Israel's largest bank Hapoalim, was the choice of Prime Minister Benjamin Netanyahu and Finance Minister Yair Lapid. His nomination was to have been confirmed on Sunday by a commission tasked with reviewing senior official postings. But Leiderman announced on Friday he would not be taking up the post, without giving a reason. 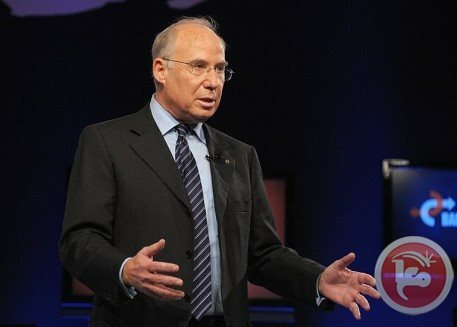 On Monday, first choice Jacob Frenkel also withdrew after allegations resurfaced that he had tried to shoplift duty-free perfume at Hong Kong airport in 2006. Israeli media said Leiderman's decision could be linked to his penchant for regularly consulting an astrologer, although he was quoted on the radio as saying family reasons were behind his withdrawal and that it had "nothing to do with astrology, which is just a hobby". Haaretz newspaper came out with another explanation. Leiderman had pulled out to avoid a scandal over his past employment at the Frankfurt headquarters of Deutsche Bank, it said, alleging a sexual harassment case. It said letters of protest over the allegation had gone out to the postings commission when Leiderman's name emerged to head the Bank of Israel. Netanyahu and Lapid now still have to find a successor to Stanley Fischer, formerly of the International Monetary Fund, who stood down in June after a successful eight years in the job. 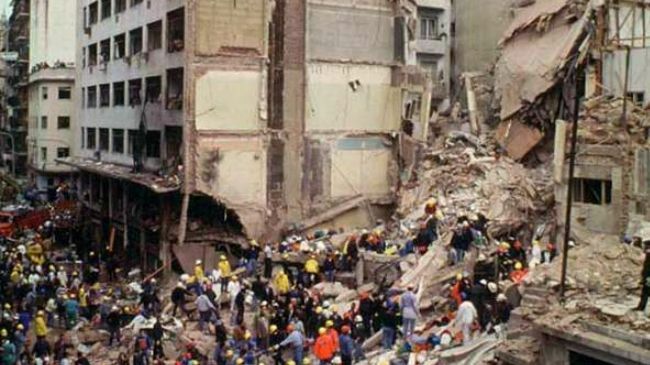 Pro-Israel organizations in Argentina have been angered by and opposed the memorandum of understanding signed by the South American country and Iran to jointly investigate the 1994 bombing of a Jewish community center in Buenos Aires, Press TV reports. Tehran and Buenos Aires signed a memorandum of understanding in January to jointly probe the bombing of the Argentine Israelite Mutual Association (AMIA), which killed 85 people and wounded 300 others. Argentina has defended its decision to sign the MoU with Iran, saying that a firm commitment to the victims and their families as well as a position of opposing certain foreign interests are the main reasons behind the agreement. “Current actions on the AMIA case followed the search of international support as well as the need to tell Iran and the whole world that we will not allow the AMIA case to be used as a justification for geopolitical interests that have no relation either with the law or interests of the Republic of Argentina,” Argentina’s Foreign Minister Hector Timerman earlier said. This is while the Supreme Court of Argentina, the country’s highest tribunal, is set to give its final word on the constitutionality of the accord already signed into law by the National Congress. “The truth has not been reached because the case is full of nullities and because the only thing that has been done is to accuse a country defied by Israel and that has no diplomatic relations with the US. They first look for someone to blame and then the evidence to go in that way,” said head of the House for the Diffusion of Islam Sheij Mohsen Ali. Despite pressure by local Zionist lobbies, organizations such as the Interpol and Amnesty International have considered the MoU as a significant step toward shedding light on the AMIA case. Officials, experts and Muslim leaders also say the accord is the first solid step towards finding the truth about the attack. Furthermore, Argentina’s National Prosecutor General Alejandra Gils Carbo has recently refused to finance a trip by AMIA special prosecutor to the US Congress. Planning to hide your asthma to serve in the army? Did you intend to get confirmation of your back problems in order to avoid combat service? You should think again. The IDF already knows everything about you, even before you get your first draft notice. In April, the IDF launched project Complete Information, and within its framework, the army receives all significant medical information on potential enlistees, directly from their HMO, without asking the permission of the recruit. Until now, candidates were expected to provide their own medical information – a procedure which allowed them to leave out what they wanted to keep private, or alternatively, to provide information to lower or raise their combat service profile. According to the IDF, the purpose of the new project is two-fold: ensuring that the IDF receives complete, reliable information on health issues of those joining up, and allowing better continuity of care. Additionally, the IDF will more easily be able to identify those who lie for reasons of excessive motivation or lack of motivation to serve. "Epileptics cannot serve at sea, and young adults with severe asthma cannot serve in the infantry. We want to know how to more appropriately assign the soldiers in units, how not to endanger him or aggravate a medical condition," explained Colonel Dov Albukerk, a doctor, and commander of medicine for the Central Command. “Until now the potential recruit relayed the medical information from the HMO, which created a lot of problems. It demanded full responsiveness, which was not always there. There were barriers of language and understanding, and we could not tell if it was really his family doctor who signed the information, or a relative who is also a doctor. So only 50 to 60 percent of the forms were filled out, and we received incomplete information," he said. According to the new procedure, the army provides the identity number of the potential recruits, and received the medical files from the HMOs. This gives them all the significant medical information: chronic diseases, medications taken regularly, drug sensitivities and relevant family history. The information is sent to the military doctor, who then checks the suitability of the potential recruit. 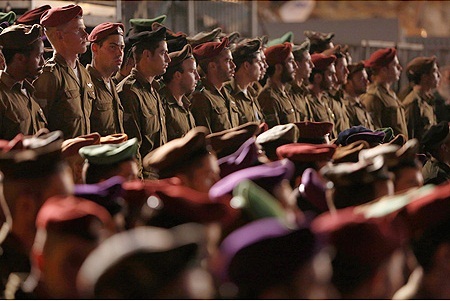 Via this new method, the army hopes to reduce the dropout rates from IDF combat units due to medical reasons. "We understand that this is a matter of medical confidentiality, but we in the IDF have a responsibility for these soldiers, "said Colonel Albukerk. "The transition from civilian life to the Medical Corps is our central challenge in terms of maintaining a continuity of information and health care." He added that the IDF relies on a patient bill of rights, which is claimed to be the best way to maintain continuity of care. "When a person moves to another HMO, the previous HMO must transfer their files. The Medical Corps is a soldier's insurer, thus the files comes to us," he explained. Civilian doctors appeared less enthusiastic about the project. "This is a major problem," said Prof. Avinoam Reches, chairman of the ethics board of the Israel Medical Association, adding that the issue will soon be debated at the ethics office. "I'm afraid that this way, the boy who is about to enlist will even hide the information from his family doctor. If he had an epileptic fit a half year before the first draft notice, I would not be surprised if he refrains from telling his doctor about it," Reches said. "The medical record belongs to the patient, not the HMO, and the boy did not sign a consent form stating that the IDF could see his file." After a stormy night session, the coalition was able to pass the necessary amendments and election laws that would make it more difficult to topple a government and eliminate small factions. 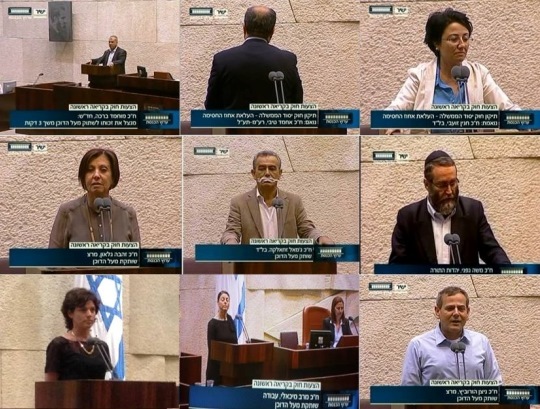 After the bill was approved in its first reading Wednesday night, Arab Knesset members and several left-wing MKs protested it by standing in silence on the Knesset podium. A unique moment took place when ultra-Orthodox Knesset member Yisrael Eichler (United Torah Judaism) made a short statement against “the persecution of the Arab and the ultra-Orthodox by the government.” Eichler ended his words in Arabic – “we are with you in your struggle for democracy” (video, 1:14 and then again 1:31 min) – before using the rest of his time to join the silent protest. Israel's parliament has taken the first tentative steps towards reining in the country's extreme form of proportional representation in a bid to make governments more stable. If passed, the law would force the smaller parties that draw their support largely or exclusively from among Israel's Palestinian and Ashkenazi ultra-Orthodox minorities to field joint lists or risk not winning any seats. If the bill comes into effect, "the government that the people chose can really govern for the citizens' benefit," Lieberman, a former foreign minister currently on trial for corruption, told the Haaretz newspaper. The bill's second reading is set for October. Economist Leo Leiderman was named Israel's central banker on Wednesday, days after the previous candidate pulled out after an investigation against him on a shoplifting allegation. "Israeli Prime Minister Benjamin Netanyahu and Finance Minister Yair Lapid have decided to name professor Leo Leiderman to the post of governor of the Bank of Israel," the government said in a statement. The appointment must still be formally approved by the government. A macroeconomics professor at Tel Aviv University, Leiderman has 10 years of senior-level experience working for the Bank of Israel. He is now an adviser to Israel's leading lender, Bank Hapoalim. The Israeli government initially chose Jacob Frenkel to replace former World Bank chief economist Stanley Fischer, 69, who is stepping down from the central bank governorship after eight years. However on Monday Frenkel said he would not take the job after an investigation against him on a shoplifting allegation. The commission charged with appointing senior civil servants asked Frenkel two weeks ago why he had failed to mention a 2006 incident at a duty-free boutique in Hong Kong international airport. Israeli media reported that a bottle of cologne that apparently had not been paid for had been found in Frenkel's luggage.